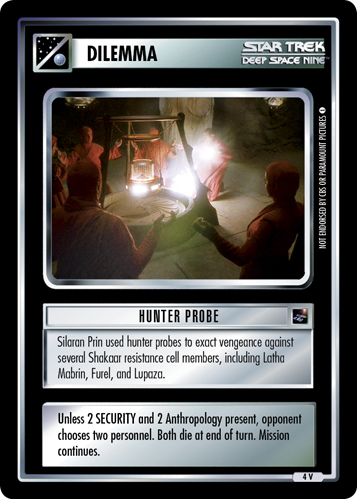 Silaran Prin used hunter probes to exact vengeance against several Shakaar resistance cell members including Latha Mabrin, Furel, and Lupaza. Unless 2 SECURITY and 2 Anthropology present, opponent chooses two personnel. 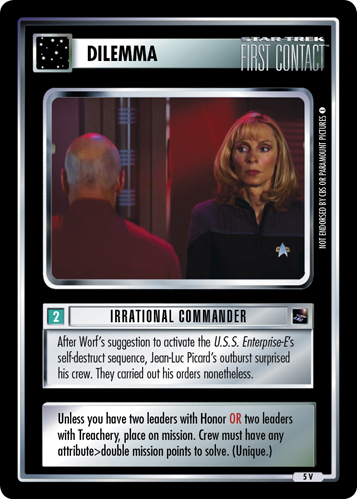 Both die at end of turn. Mission continues. 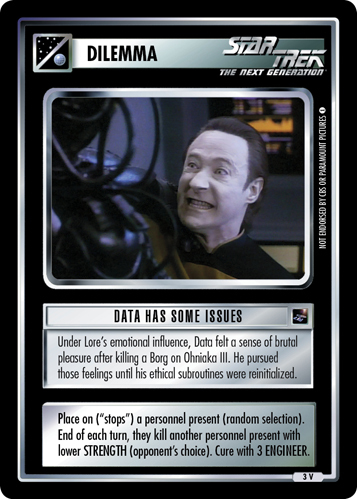 Image Source: Deep Space Nine: "The Darkness and the Light"